The cancellation of the School Sports Partnership programme is forcing schools to think creatively and innovatively about how they can continue to offer young people access to sport, in the face of limited government funding. Crispin Andrews reports. When education secretary Michael Gove announced the cancellation of the School Sports Partnership (SSP) programme last October he faced a wave of protest and not just from PE teachers. Students, parents and others in education joined star athletes, the media and politicians to protest at the decision which, 18 months before London was due to host the 2012 Olympic and Paralympic Games, looked out of step with the public mood. It sparked a U-turn of sorts. He found £47m to enable the programme to continue until July this year and another £65m to pay for more supplementary help with sports until 2013. Funding is now available for a school games organiser for three days a week with a remit to focus solely on competition. There's also money for schools to employ a school sports coordinator for one day a week, at the headteacher's discretion. Nevertheless, as schools prepare for the autumn season, the demise of SSPs has left some with a major sporting challenge. In June, Ofsted's report School Sport Partnerships: A survey of good practice highlighted lessons that schools could learn from the work of the now-defunct partnerships, lessons which, the report indicates, can prove vital to sustained improvements in sports and physical activity. They include building links with outside organisations, such as sports clubs, leisure centres and community groups, and brokering arrangements between schools and others so that resources are pooled and invested in local events. The report also found that better coordination between what pupils learn in PE and after-school activities was reinforcing their learning, that SSPs were contributing to children’s broader educational performance and could also aid primary-secondary transition. But with the SSP funding essentially gone – and with it the partnership development managers, competition managers and dedicated admin staff who had those linking roles – how can schools work in the way that Ofsted recommends? Driven by a belief that sport and physical activity are an important part of child development, school leaders and the former leaders of the school sport partnerships that served them, are doing what they always do when faced with a diffificult situation: they innovate. Stafford College of further education is just along the road from Stafford Sports College, a secondary school where the Staffordshire and Stone School Sport Partnership is based. At the FE institution, students can take a two-year foundation degree in sports coaching. These budding Clive Woodwards and Hope Powells must do 150 hours of voluntary work, before heading off to university for their final year. "We've arranged for some of these students to work one day a week alongside our school games organiser next year," says the schools' Partnership Development Manager Steve Glover. "The student will plan their school's competition schedule with school staff, liaise with the PE department to implement it, and then facilitate the competitions." The students get crucial experience and learn about how school sport works; the schools get an additional pair of hands free of charge. "The students' role will vary from school to school," he says. "Some secondaries might get the student to design their inter-form or inter-house programme. Others might prefer to support primary schools, getting teams to and from venues." Steve is looking for ways the partnership can generate money from within. Last year he sold tickets for a dance festival, and this year, will do the same with a DVD of the performance. He sees advocacy as the most important part of his role over the next two years. "You have to show headteachers that it's worth paying for something that they’ve been getting for free," he says. 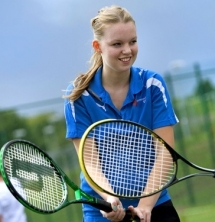 Youth Sport Trust, the national charity, says that 50 per cent of schools have managed to find additional funding to make the three-day school games organiser role into a five-day post. The trust itself – which has less capacity to support school leaders now its own funding has been cut – offers schools a membership scheme where they can access support. Previously much of this support went through SSPs and sports colleges. Some schools have added their own twist to the games organiser role. Biddick School was the hub site of the Sunderland Biddick SSP and one of the first cohort of school sport partnerships. From 2000 they led the development of sport within and outside their catchment area. Staff worked in some of Sunderland’s most challenging areas, and the school helped others to work towards targets such as providing two hours of PE and sport a week and the healthy schools award. They also offered access to less obvious sporting activities, such as triathlon and mountain biking. Now four local secondary schools and 36 primaries will use their school games organiser funding to run an introduction to sport programme at Biddick. It will include an intra-school competition, aimed at increasing participation and involvement in competition and at building school teams. A professional development programme will be available for all of the schools. "This will enable us to teach kids how to play the sport, so they can enjoy the competition," says Biddick's headteacher, Richard Wilkinson. "It will also make sure that we provide competition for all." Sport is important to the school for its own sake but there is also a strategic aim, he says. "It is not just about excellence and participation, it's about developing the infrastructure to allow sport to take place. Students are part of this infrastructure. Some 25 of our year 9s volunteered at Tyne and Wear Youth Games this year as part of their application for our Young Apprentice course. "This year's apprentices stewarded, scored at and helped organise our recent year 7 athletics event. Sport needs administrators, coaches, officials, stewards – not just players and spectators." He urges schools to hold on to their values when delivering the government's competitive sport agenda. "Do what we always do," he says. "Take the government agenda and add value to it." Marie Hunter, headteacher at Penryn College, in Cornwall, which was the hub for the local school sports partnership, thinks new models of best practice for sports education and other activities will emerge after an initial period of muddling through. For now, though, she has made former partnership development manager Mark Holmes' role sustainable by broadening it. He’ll work three days a week organising school sport across Penryn and a group of schools, teach PE, and use skills and experience gained leading a large team of teachers and sports professionals and admin staff in other areas of the school. "He'll support the head of year 7 and deliver our leadership course," she says. "We'll deploy him where his skills can have the biggest impact. Half his job will be related to school leadership and sport will have an advocate with access to key decision-makers." The role is being funded jointly by Penryn and eight secondary schools who have found £1,500 each from their own budgets to pay for it. In future, more schools will be devising their own bespoke approaches to sport, thinks Eileen Marchant, chair of the Association for Physical Education. The way forward is likely to be more about local solutions and less about a top-down culture for school sport, she says. "Schools have an opportunity, over the next two years to make their sporting provision sustainable, so they are not reliant on external funding. If you get your PE right, students will want to do sport in their own time. Crispin Andrews is a freelance education writer.